Do What You Love – You aren’t going to be successful at something you spend all day hating or find absolutely boring! Right? When I’m excited about writing on a topic I’m interested in, I am good – perhaps even above average. When I get stuck on a writing project that doesn’t interest me, I am honestly the worst writer. Make a List of Short, Medium, and Long Term Goals – Each night before you sleep, you should try to write down 5-10 things that you want to accomplish the next day. You should also make sure that at least 3-4 are things that can be completed that day and purge from your to-do list. Also make sure to add a couple of small parts of medium or long-term projects. Here’s an example. My long term goal is to write an eBook one day. My medium term goal is to work out the possible topics or areas of research I need to do to write the eBook. My short term goal is to try and research, read and write on many different topics to help me decide what I’m most interested to write about one day in the form of an eBook. Record Your Progress – Write down your progress everyday so that you’re self-accountable. Each day, think about how you’re going to grow and develop the steps towards achieving your goals. Sales / Marketing – Even if you don’t think you have a product to sell, you do and it’s yourself. I’ve learned that sales and marketing are not easy skills to learn. You can’t shout “look at me!” or people will think you are obnoxious. You have to find people who might be genuinely interested in what you have to offer. I always find it best to be open and honest with what I have to sell. If the product is of value, you price it accordingly, and have the right buyer, it should sell itself. I’ve found that if you have to “sell” too hard, it’s probably going to be a sale you regret making. Public Speaking – This is really a case where preparation and practice means everything. Even shy people who dread speaking to just one person can manage to speak successfully in front of a crowd. The more time you prepare your speech, the more successful your speech will be. You can always practice in front of a mirror! I suggest joining an organization such as Toastmasters, Rotaract Club or drama group to help you gain confidence in speaking. Writing – Even if you are writing a short e-mail, try to use proper grammar. Make sure you do a spell check as well. You’d be surprised how many e-mails I receive where people make 6 mistakes in 6 sentences. First impression is everything. If you think you write poorly, then get other skilled writers to proof read or edit your writing. Poor writing skills can affect the way your intelligence and/or professionalism are portrayed to the other person. Perhaps it shouldn’t be that way, but it is. A person who writes well generally receives great respect and trust. Networking – Get out there and meet new people in your areas of interest. When you know a lot of people, opportunities multiply. To go back to my eBook example above, I really need to start networking with people who have already published successful eBooks. People who have already achieved the things I dream to do are great resources for me to learn from. Read More and Faster – Information is being updated rapidly in an ever-changing world. To keep up to date, you need to be able to read a lot and to read fast. 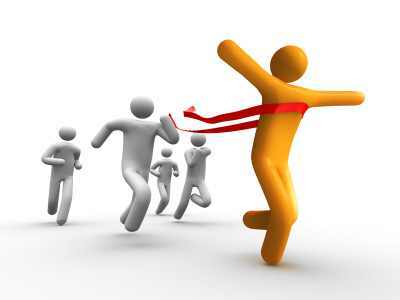 The more you keep up, the more you’ll stay ahead of others and especially your competitors. Help Someone with Something Everyday – If you mentor someone, you’ll be seen as a natural leader. 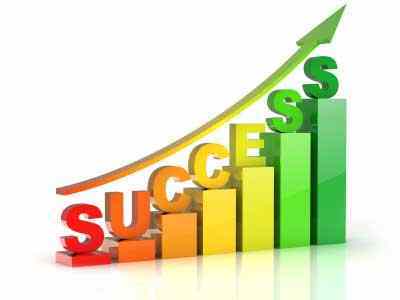 I’ve always seen a strong correlation between leadership and success. Never hesitate to share your knowledge or assist those you need your help. Life will reward you in return ten-fold. Make Mistakes -. Just remember that mistakes can often be a blessing in disguise. We can develop, grow and learn from our mistakes. Never fear making mistakes. When you make a mistake, try your best to fix it, otherwise try not to make it again and move on. Dwelling on mistakes will only harm you. Surround Yourself with Like-Minded Individuals – There are studies that show an individual’s income will be somewhere around the average of your closest five friends. There are also studies that show your weight will reflect those who you hang around with. It makes sense if you think about it. Be selective about who you choose to include in your circle of friends. Exercise – Whenever I work out, I am all pumped up with endorphins for hours. It feels like nothing can stop me – as if I could tackle anything. Exercise is a popular stress-buster and provides you with lots of energy and mental clarity. Try to focus your energy on your list of goals and churn through it like never before. Go Mad! Start a Website or Blog – It’s easy to talk the talk, but what matters is if you can walk the walk. A website or blog not only makes you accountable for the goals that you set, but can also help you network and gather useful information. Don’t Get Wrapped Up in Television – While watching TV serves its own purpose, try not to do it too much. Rather, try to watch programs that will serve to educate and motivate you. Monitor the amount of time you spend watching programs that tend to make you feel lazy and unmotivated. Commute with Books on Tape (or Podcasts) – Most of the people I know have a 30-60 minute commute to work or university each day. You can listen to some morning inspiration, motivational music/speeches or you can learn some of the skills that I mention above. I’m not saying that you should throw away all entertainment, but if you are looking to increase your productivity, utilizing this downtime is a great start. Declutter and Organize Your Home and Work Area – I used to waste a lot of time looking for stuff. The problem? I had stuff everywhere. I couldn’t find the stuff that I needed from the old stuff that was piled around it. It’s amazed me the number of things that I had around the home that I didn’t use. Finally I simply said “Stuff It!” and got rid of most of the stuff that I didn’t use and put other special stuff in a closet that I’ll probably ignore for another years. Everyday, try to declutter and clean a specific area. You’ll be surprised at how relieved you feel and how good you feel. Think Positively – Making a conscious decision to focus on being successful in your area of interest and passion is extremely helpful. Simply focus, focus, focus! Don’t Hate Money – Lose the thinking that money is the root of all evil. Start thinking about it as a key to freedom to do whatever interests you. Think of it as a way to help friends, family, and charities important to you. Think about how you could use money to make the world a better place. Appreciate What You Have – Schedule a day to just appreciate yourself. Appreciate the things that you do have. The fact that you are reading this likely means that you are much better off than others in the world. Be In A Good Mood – Try your best to stay in a positive mood. It’s amazing how life rewards us most when we choose to be in a good and positive mood. Always have faith and belief that life challenges that are thrown your way can be overcome. There are solutions to every problem in life. 3 Quotes to Inspire You Towards Your Success! 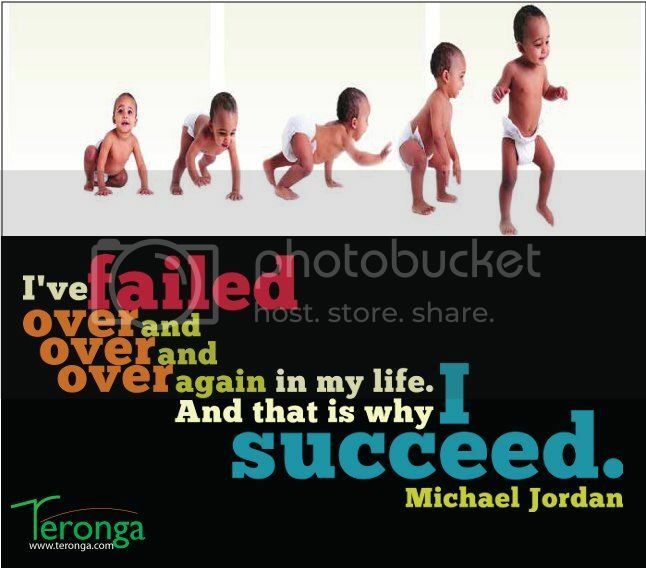 I’ve failed over and over and over again in my life and that is why I succeed. 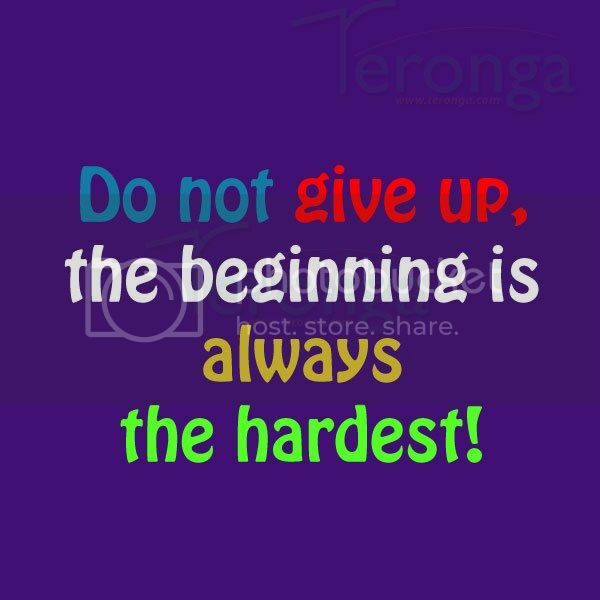 Do not give up, the beginning is always the hardest! Which Goal’s The Best For You ? Setting goal is the most important thing to do for those who want to be successful in life. I Believe a goal is like a destination. If you step out your house, however, you need destination. Thus, your being off home has an aim. Otherwise you will go around and around without any direction. Setting goals mean that you have something to direct your life, giving you chances to get what you want in life. Setting goal can be a starting step to happiness. Because life without goals are unhappiness itself. And what are the better goals than social-concerned goals ? It is a kind of truth that the more selfish goals you have, the less satisfied and meaningful life you will have. If you dream of being successful, and you are so self obsessed that there is nothing in your mind except for this dream. You may end up success but you have none around. Success is not about how much you take, success is also about your happiness, your peace of mind. 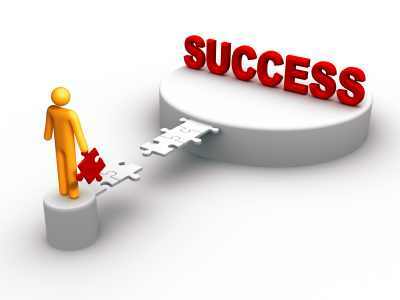 To be success you have to include three circles of success, I.e. : relationship, community and career. Your relationship includes family, spouse, friends and other who are close to you. Community is where you are living around. And career is, well, where you are working now. 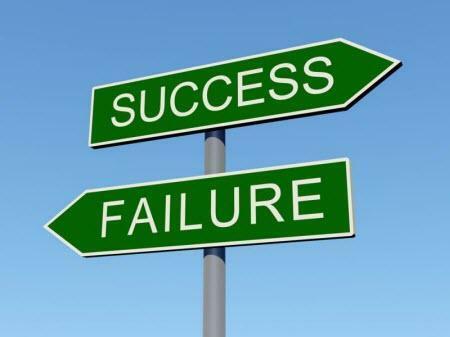 If you success only in one or two of them, you are not as successful as what you think you are. Imagination may be one of the most important means for you to get what you want in life, most self-help books agree about that. But in setting goals, you should be realistic. If you set goals very imaginative, and thus difficult to reach, chances are your goals are only wishful thinking. Instead of reaching them within certain time, you will leave them behind at once. Every new year each of us set goals, but because only base on wishful thinking, within the middle of the year we go nowhere. In short we fail reaching our own goals. Why this can happen ? Because the goals you have set are not linked with the whole vision of your life. For example : Recording his singing in album is meaningful for a singer. But if you only love listening to music without any music background, to set a goal of recording your singing is by no means meaningful. Goals should be specific. You have to have specific destination and time. The result should be visible that you will know exactly whether you succeed or not. Use verb that demand action. For example : “Someday, I think I will try to have my own home-base business”, instead of use that sentences better you change that to be more specific like this : “In year’s time, I have my own home-business”. So there are specific time and destination to reach your goal. The best goals will excite you, if the goals make your parents happy but make you unhappy, they are not the best goals for you. So set the goals that are suitable with you. Your goals must be set in such a way that they altogether make – step by step – one goal which is the ultimate one of your life is directed to. If you want to learn swimming in swimming pool nearby, there is a terminal goal to get your ultimate goal. This goal is having a swimming pack. You should have money either to buy it or to enroll to swimming course. So to get a some of money is your first goal. The next is to buy the swimming pack and to pay the course fee. You will not reach your ultimate goal of being able to swim, before having a sum of money. Old proverb says : First thing first ! None obliges you to stick to a certain goal constantly. Meaning that, you can change your goal. Supposed, you thought that you were good at writing and wanted to spend your life writing best novels. But along the way, you may find another job is exciting, and make you earn big money and enables you to meet people. So a change a goal is not impossible. You are the one who knows what you really want in life, are not you ? When you sets goals, you may focus your life on your goals. This may make you forget anything but your goals. You will do anything to reach these goals. You don’t care about anything else except your struggle to reach goals. You forget your family. You leave your girlfriend. Instead of making friends, you make enemies of many people when you are thriving to them. And when you reach these goals, you feel very much lonelier than before, having no friends around you and your family estranged. If these are what happen to you, the goals have set isolate you. In conclusion, they are not good goals. What’s Holding You Back from Success? 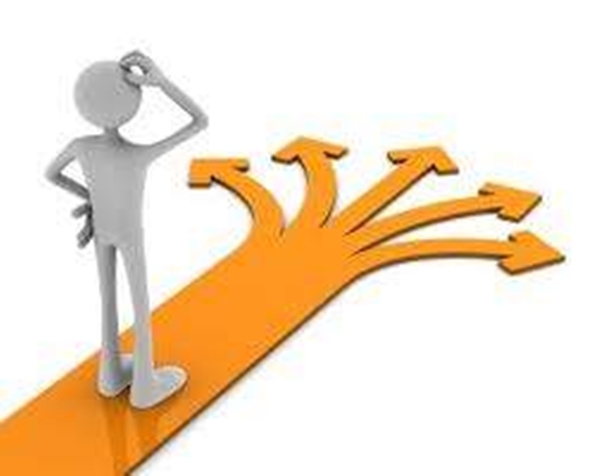 Many people miss many opportunities in life because they didn’t know the answer or take steps to change their future. Meet Angela Thompson. One of the biggest mistakes she feels she ever made was turning down a full grant to attend college. Years later, she had a similar opportunity to teach at a local business school. One of the perks was attending classes for free, and she again turned it down. She had been given a second chance to make up for the biggest mistake of her life, and she didn’t take it. She was full of self-doubt and lacked confidence, but also something bigger, her biggest fear was failure. Does this sound familiar? Have you ever been presented with that golden opportunity that you knew you wanted, but didn’t take? What stopped you? Who were you afraid of letting down – your family or yourself? It wasn’t until Angela Thompson turned 50 that she discovered something. She wasn’t afraid of failure, she was afraid of success. She got so used to the status quo, that she didn’t know what she would do if she actually did succeed. How would her life change? Was she ready for it? Would she know what to do? She knew how to struggle, but if she reached success could she pull that off? Could she become a leader or would people see through her and realize she was a fake? She didn’t know, but she suddenly knew she had to try. More than half her life was over and she hadn’t really accomplished anything. She was no further ahead than when she graduated. Her life had turned out nothing like she planned. She felt like she had been sleepwalking through it with no idea of where she was headed or why. It was a major turning point for her. She finally discovered the person she was meant to be. She stopped worrying about what others thought or how they perceived her. It was what she thought that mattered. She had dreams and goals and she was determined to achieve them. She knew if her life was going to change, then she had to do it. If it’s to be, then it’s up to me, became her mantra. Life took on new meaning. 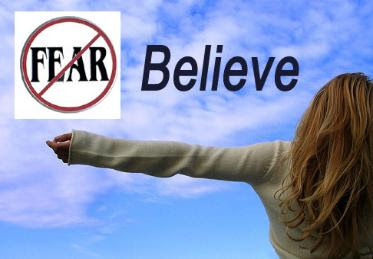 She decided that fear would no longer keep her from experiencing joy in her life. She didn’t want to just exist. She wanted a life filled with passion, happiness, success, and freedom. She wanted to try things she had never done before. She wanted to have fun! This new confidence inspired her to do something else she wouldn’t have attempted before. She attended a convention by herself, where she knew she wouldn’t know anyone. A little hesitant, she walked into the room, sat down and started a conversation with the person next to her. Later that evening, she introduced herself to a girl that was standing alone and they spent the rest of that evening and most of the convention together. She found herself approaching more people and starting conversations. Her fears of being rejected were unfounded. People responded to her openness and honesty and she made new friends in the process. She was so excited. Each time she stepped out of her comfort zone, her confidence increased. She became aware of how her thoughts and words, whether positive or negative, have on our lives when heard over and over again. They have the power to shape the person we become. Just like a song you’ve heard and can’t get out of your mind for days after, negative thoughts can affect us the same way. Studies show what you focus on most, you’ll move towards. If you focus on all the negatives in your life, then you’ll attract more of the same. These thoughts eventually become habit. You start to believe them and your life becomes a self-fulfilled prophecy. That’s why affirmations are so powerful. They work the same way. Focus on positive thoughts and you’ll get positive results. People are attracted to those that believe in themselves. Decide now what it is you want. Where do you see yourself in 5, 10 or 20 years if you continue doing the same things? When presented with an opportunity or a challenge, ask yourself some questions. What will happen if I don’t take any action? What will the outcome be? Well, most likely, nothing will change. You’ll stay stuck in your job, struggle to pay your bills, or live in fear. Now, ask yourself what will happen if you take that risk? You could find a job you love, be earning more money, or have more time with your family. Which of these scenarios appeals to you most? You have a choice. What actions you take or don’t take next will determine the course of your future. Deciding what you want is your first step. Once you know that, make a plan and know your WHY. Without having a clear focus as to what you want to achieve, it will just be a wish. Next, visualize it. See it, feel it, as though you have already achieved it. Visualization is very powerful. If you see it and believe it, your mind will find a way to make it happen. Now, put your thoughts into action. There is more I want to learn and experience and I’m ready for the challenge. I hope you are too. There’s a saying, “the journey of a thousand miles, begins with a single step.” Are you ready to take it? If not, what’s holding you back?